← Will Elections Penetrate Israel’s “Impenetrable, Dangerous, Ideological Shield”? Memorial Day in the United States is a time for hot dogs, overcooked burgers, too much beer, and a massive dose of militaristic patriotism. It is also a good time for Americans to begin thinking seriously of who should be elected president this November. This year, President Obama kept his focus on his own reelection campaign and, at the same time, announced himself as the US warrior president. The president has apparently decided a warrior president is a better image to project for his reelection in a downward spiraling economy. Don’t take my word for it. Check out a story released on Memorial Day. It was orchestrated by the Obama White House for the New York Times. The story appeared in the Times‘ internet edition on Memorial Day, and in the print edition the next day. With the help of White House operatives, past and present, the Times portrays the president as a man carrying the heavy moral burden of deciding when a US-designated suspected terrorist will die in a drone attack. Since many of these US-designated suspected terrorists are frequently killed in their homes in crowded communities, others die in the attack, including, at times, women and children. On one recent occasion, the targeted victim was an American male citizen. Mr. Obama is the liberal law professor who campaigned against the Iraq war and torture, and then insisted on approving every new name on an expanding “kill list,” pouring over terrorist suspects’ biographies on what one official calls the macabre “baseball cards” of an unconventional war. This is an “unconventional war”, as the Times puts it. It is also an unprecedented war, which would not be considered a war at all, except for the steps taken by President George W. Bush after September 11, 2001. After the attacks, Bush essentially declared war on Islam. The result of this strategy was to create a national fear of Islam, both foreign and domestic, feeding the Islamophobia that was already an American reality. It also led to two wars against Middle Eastern pre-dominantly Islamic nations, Iraq and Afghanistan. What should have been and still should be, a search for the criminal gang behind 9/11, became on George Bush’s watch, a holy war, a Global War on Terror (GWOT). This global war was carried out under the tight control of a neo-conservative cabal of politicians, many of whom were strong Zionists eager to direct US military might against Israel’s neighbors. More than a decade after George W Bush launched it, the “war on terror” was supposed to be winding down. US military occupation of Iraq has ended and NATO is looking for a way out of Afghanistan, even as the carnage continues. But another war – the undeclared drone war that has already killed thousands – is now being relentlessly escalated. From Pakistan to Somalia, CIA-controlled pilotless aircraft rain down Hellfire missiles on an ever-expanding hit list of terrorist suspects – they have already killed hundreds, perhaps thousands, of civilians in the process. At least 15 drone strikes have been launched in Yemen this month, as many as in the whole of the past decade, killing dozens; while in Pakistan, a string of US attacks has been launched against supposed “militant” targets in the past week, incinerating up to 35 people andhitting a mosque and a bakery. As Barack Obama enters the final months of his reelection campaign, he wants the American people to know that he is, to use an old George Bush term, “the decider”, as to which human target to strike. The US has shifted its wars from the ground to unmanned drones in the sky. President Obama is slowly bringing the Bush wars in Afghanistan and Iraq to a conclusion. Yet, for political purposes, he still wants to portray himself as a warrior president. He is doing this by releasing a detailed description of how the drone warfare is conducted. One week after the Memorial Day Times story on the US drone war, the White House provided information for a second story in the Times. With White House support, the Times made the case that President Obama has pushed the cyber campaign against Iran from his earliest days in office. Internal Obama administration estimates say the effort was set back by 18 months to two years, but some experts inside and outside the government are more skeptical, noting that Iran’s enrichment levels have steadily recovered, giving the country enough fuel today for five or more weapons, with additional enrichment. This is war talk of the first order, the American empire leader standing astride the Middle East with the most sophisticated technology available to wreak havoc on those who oppose him. The White House must have determined that these two stories served the best interests of the President. They were not new stories. The cyber attacks on Iran and the drone attacks, have been on-going for the three years of Obama’s first term. The two accounts stressing Obama’s role in these two campaigns portend problems for an Obama second term, assuming he prevails against Republican presumed nominee Mitt Romney. The problems come in the fact that a warrior president will find it difficult to pivot quickly and emerge once again as the creative peace president he initially promised to be. To be sure, and much to his domestic advantage, Obama’s cyber attacks and his increased use of drones, do not put American troops in harm’s way. But, it is also true that by his decision to use remote technology to attack other nations, Obama is setting an example for other nations to follow him down a dangerous and unpredictable path. In a second Obama term, Obama will either have to continue his remote warfare and give up his desire to be a peace maker, or he will have to utilize his next four years to lead his nation out of its exceptionalist warrior mentality. [An] unchallenged faith in American exceptionalism makes it harder for Americans to understand why others are less enthusiastic about US dominance, often alarmed by US policies, and frequently irritated by what they see as US hypocrisy, whether the subject is possession of nuclear weapons, conformity with international law, or America’s tendency to condemn the conduct of others while ignoring its own failings. Ironically, US foreign policy would probably be more effective if Americans were less convinced of their own unique virtues and less eager to proclaim them. The US, as Stephen M. Walt knows well, has “friends” like Israel, who want the US to remain exceptional. Israel believes it is to its own advantage as an intruder, occupying power in the predominantly Muslim region, to maintain a military edge that allows it to continue to illegally expand its own empire ambitions. President Obama, heavily burdened by his own Zionist-controlled Congress, will have to exercise considerable wisdom and courage to pivot away from his campaign image as a warrior president to that of a leader who means it when he says he wants to apply “American values” to his foreign policy. Those “American values” also reject Islamophobia, which unfortunately was ignited full force after 9/11 and which President Obama has done little to tamper down with his random killing of Muslim suspects, primarily in Pakistan, Yemen and Somalia. How strong is Islamophobia and racism among America voters? Go to the right wing web lists and list serves, or just spend two hours a day watching Fox News/Entertainment, and you get an understanding of the ignorance and fear promulgated from these corners, pouring more Islamophobia into the American public’s emotional bloodstream. Islamophobia in its present form is not as old as anti-semitism, but it is easily ramped up in the hands of hate mongers with a political agenda. Islamophobia is prejudice against, hatred or irrational fear of Islam or Muslims. The term dates back to the late 1980s or early 1990s, but came into common usage after the September 11, 2001 attacks in the United States. It is depressing to have to suggest that our “change we can believe in” president has adopted the mantle of a warrior president, outdoing George Bush in some quarters. But politics is a messy business which calls for twisted paths to victory. Maybe President Obama is riding the warrior president chariot until his successful reelection. After that he will need considerable help to get off that chariot. The story is told of a meeting at Franklin Delano Roosevelt’s home in Hyde Park, New York, attended by labor and civil rights leader A. Philip Randolph. Is it possible Barack Obama is asking his supporters to make him pivot away from remote technologically advanced attacks on Muslim targets and attacks on Muslim nations like Iran and Syria, both sources of Israel’s collective paranoia. Mr. Obama has demonstrated that he can be thoughtful and farsighted, but, like all occupants of the Oval Office, he is a politician, subject to the pressures of re-election. No one in that position should be able to unilaterally order the killing of American citizens or foreigners located far from a battlefield — depriving Americans of their due-process rights — without the consent of someone outside his political inner circle. How can the world know whether the targets chosen by this president or his successors are truly dangerous terrorists and not just people with the wrong associations? The Times editorial writer is being gentle. Others are less so. If Obama ever expects to regain the support of the more progressive political left in the US, he will have to make a strong case to writers and activists like Medea Benjamin, a cofounder of Codepink, and the author of the book, Drone Warfare. 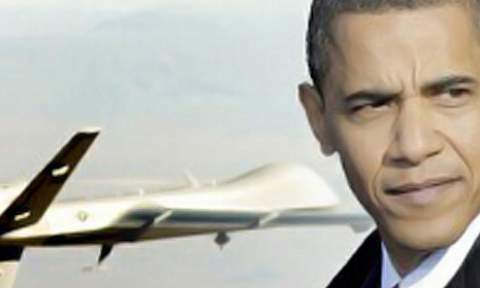 On May 29, The New York Times published an extraordinarily in-depth look at the intimate role President Obama has played in authorizing US drone attacks overseas, particularly in Pakistan, Yemen and Somalia. It is chilling to read the cold, macabre ease with which the President and his staff decide who will live or die. The fate of people living thousands of miles away is decided by a group of Americans, elected and unelected, who don’t speak their language, don’t know their culture, don’t understand their motives or values. While purporting to represent the world’s greatest democracy, US leaders are putting people on a hit list who are as young as 17, people who are given no chance to surrender, and certainly no chance to be tried in a court of law. Who is furnishing the President and his aides with this list of terrorist suspects to choose from, like baseball cards? The kind of intelligence used to put people on drone hit lists is the same kind of intelligence that put people in Guantanamo. Remember how the American public was assured that the prisoners locked up in Guantanamo were the “worst of the worst,” only to find out that hundreds were innocent people who had been sold to the US military by bounty hunters? Why should the public believe what the Obama administration says about the people being assassinated by drones? Why indeed should the public, left or right, believe what the Obama administration says? The answer to that question should concern Obama and his staff through November and beyond. If he expects to be the Obama we once thought we knew, he will have some serious explaining to do. The montage photo above of President Obama and a drone is from the Nation of Change. This entry was posted in Media, Middle East, Middle East Politics, Obama. Bookmark the permalink. So who do we vote for in November? These things seem to be enough of a reason not to vote for Obama. But can you accept Romney and the GOP? I assume that voting for a third party candidate is to vote for Romney. This is a tour-de-force commentary! Thanks so much, Jim. I’m pleased that, just days ago, I donated a sum to my heroes at CodePink and was promptly gifted with a Medea-autographed copy of “Drone Warfare.” It’s on my burgeoning list of books to read. If you are in a ‘politically safe’ state like California, then you need to vote for someone other than the Democratic or Republican candidate. I will vote Green, just like I did 4 and 8 years ago. For those who live in swing states, vote for Obama. For the rest of us, make a statement and vote for another party! I always appreciate Jim Wall’s thoughtful commentary. This time he has challenaged my thinking as much as ever. I will, however, vote for Barak Obama and work for his reelection. I can’t imagine that Mitt Romney would be any better and am convinced that he would be much worse, for I strongly suspect he is deeply influenced by the neo-con military and foreign policy crowd that gave us Bush – Cheney. After he is re-elected I will write to Mr. Obama and urge him to use his second term to lead us and the world away from what Dwight Eisenhower called the Military Industrial Complex. This is a serious problem and cries out for creative leadership in addressing it. Four years ago I made the same mistake I made with Bill Clinton, investing passion and resources towards the election of a man who I truly believed represented a change in course for American empire. After having spent nearly 6 years working in and on Iraq, I was no doe-eyed neophyte. I understood that President Obama wouldn’t be a revolutionary figure, that change would come slowly and given his style, methodically. However, I was not prepared for the type of “changes” that he would usher in, as described by the NYT article. What has emerged instead is a higher degree of self-confidence, perhaps narcissism, than Bush ever had, perhaps based in his faith of his own education and intellect. That he has the executive authority and self-disciplined rigor to decide if the 18 to thirty-something year-old working in the same area as an identified Al Qaeda operative is a terrorist deserving death. As the article notes, such decisions and such actions play well on the domestic political front. They do not, however, play well with the rest of the world, who we depend upon do be ignorant of our tactics or intentions. The rest of the globe is neither. I remember, while in Beirut a week after the 2006 ceasefire with Israel following the war that decimated Lebanon’s civilian and economic infrastructure, which the U.S. supported in full, a huge sign in Hariri Square that read in English and Arabic, “Don’t kill us. Don’t help us.” It illustrates that the perception of American exceptionalism ends at our borders, no matter what our media tells us. It pains me greatly that President Obama seems to have bought not only into this form of national exceptionalism, but into his own exceptionalism. That he can set up a system through which he can be judge and jury of the deaths of those far removed, using a system controlled by private contractors, and by unmanned technology. It is reflective of a leader who seems more pre-occupied with power than his predecessor. Alas, this is a nightmare come true. Thanks Jim for so enlightening and indepth message regarding the maize path President Obama is taking to get elected. A Liberal Law Progessor Pres. Obama has yet to translate his real conviction into action. A Noble Peace Prize winner should prove to the world that he really earned it. As for Islamphobia in this USA, its roots also originated and orchestrated by the Zionist labbyists who are still sitting by the doors of the White House. to lobby for Israel aspirations. like any state represented at the UN without which there will be no peace. the Late President John F. Kennedy , May God Bless his soul, when he stood at the Berlin Wall and declared that it should be torn down. The Palestinian should be united with each other as the East and West Berlin citizens were united in a democratic state. Yes, Obama is a warrior president, and is making millions of his supporters angry. Romny will be even worse. A choice of two warrrior presidential candidates is not democracy. A third party candidate, doesn’t lead to a run off, as it does in most democracies, but it goes to the House, where the party in power chooses their man. The system isn’t working. Our democracy is in big trouble. And, of course, it’s all about the power of big money. Will Americans have the energy and will to reform our broken democracy?